As Metro kicks off its public engagement effort for next year’s capital and operating budgets, now is the perfect time to get involved in helping shape the Authority’s priorities for the next few years! This is the second of three related posts that attempt to de-mystify transit funding and give the residents of Metro’s service area some tools to engage in budget discussions. The first post focused on the Capital Funding Agreement (CFA, PDF) and the Capital Improvement Program (CIP, PDF), which together establish a six-year framework for funding projects that improve the Metro System’s safety, reliability, and performance. This post focuses on how the CIP translates into an annual capital budget, and the next post will explore the annual operating budget. 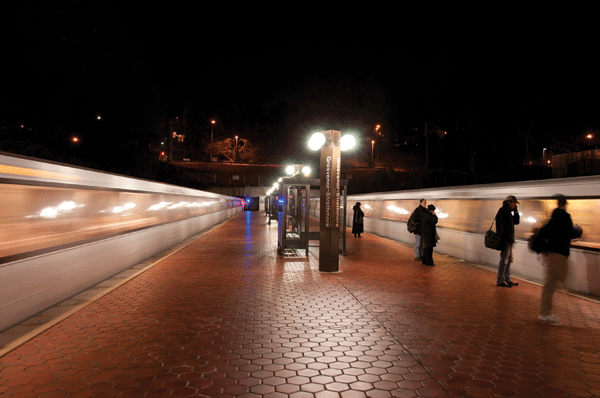 We explore questions about WMATA’s creation and how decisions are made in our “Metro 101” series. To serve “other regional purposes” as needed. Mary Hynes, a Metro Board Member, sat down with the Region Forward team to answer a few questions about the region’s biggest challenges, how Metro can help the region meet the goals in Region Forward, and how citizens can get involved. In addition to her role at Metro, Ms. Hynes is an Arlington County Board Member and the Chair of the Council of Governments’ Region Forward Coalition, the public-private group leading the effort to implement COG’s vision for the region’s future. Q: What do you think are the region’s biggest challenges? Q: How does Metro help us meet our Region Forward goals? Mary Hynes: “The Metro Board made a decision when considering how to frame its new strategic plan to key off of Region Forward. We – my colleagues on the Metro Board and Metro’s professional staff – looked at what regional leaders had done with Region Forward—the goals they had set—and said “Metro can be the catalyst that enhances regional mobility and convenes stakeholders to ensure a successful, integrated regional multi-modal system”. We worked with the Transportation Planning Board at COG to make sure Momentum and the TPB’s Priorities Plan are aligned. It wasn’t hard because, in fact, there is regional consensus on the next set of transportation moves the region needs to make. Like many of the nation’s transit agencies, Metro must rebuild its once-new capital assets as they wear down and deteriorate after decades of use. Metro could feasibly use every penny in its capital budget for years to come just reducing its backlog of maintenance issues. Moreover, Metro also needs to ensure that the system is able to overcome the capacity constraints that come with a regional population expected to swell in both the central core and the suburbs in the years ahead. And on top of this, Metro will need to address calls for entirely new service in many areas of the region. 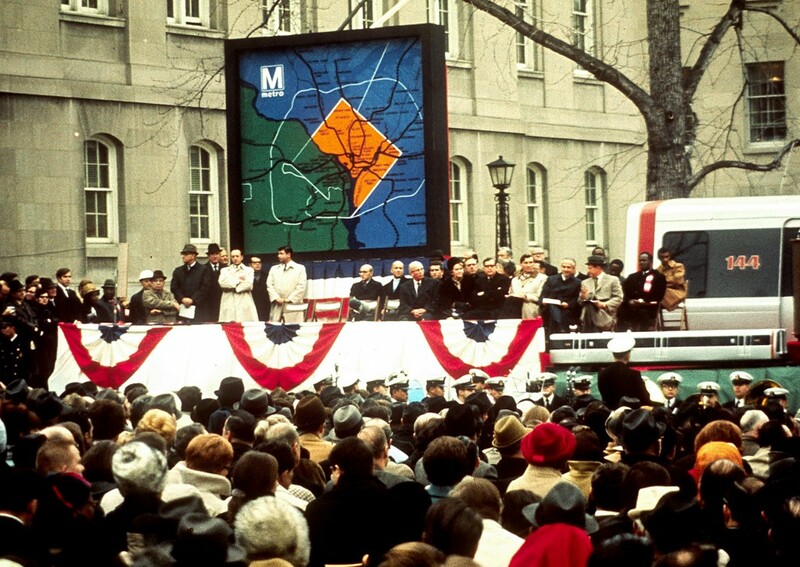 Once Metro is rehabilitated, the system will require a stable level of investment to maintain a state of good repair as it continues to age and deteriorate. Metro estimates that $1 billion (in 2012 dollars) per year is necessary to support and maintain the existing system, even after rehabilitation. Metro 2025 will expand the core and system capacity, as well as ensure that the region’s capital investments are successful. This requires an additional $500 million, on average, in annual capital funding through 2025. Certainly, increases in the overall size and scope of the system will also have an impact on operating costs, which would grow to some degree when new rail cars, buses, and service are put in place. These operating costs may grow in line with the proportional size of system expansion or at a lower rate, especially if increases in reliability and the increased attractiveness of transit to today’s non-riders has a disproportionate effect on ridership, mode choice, and revenues for modes that have high farebox recovery ratios today and/or where existing demand is already delivering more revenue than operating costs. Since 2010, the Board of Directors has been laying the foundation to rebuild Metro itself. From hiring a new General Manager to beginning the largest capital program since the inception of Metro, the Board has taken numerous actions to better equip the agency to succeed, including providing a stronger governance foundation. The Board has made strategic investments in infrastructure, equipment and workforce training, and developed policies that have markedly improved safety, as recognized by the NTSB and FTA and documented in the Authority’s publicly-reported Vital Signs score card. Governance reforms undertaken over the last two years have modernized Board leadership, strengthened the Authority’s governing structure, improved the Board’s partnership with the General Manager/Chief Executive Officer, enhanced internal management, and prioritized public dialogue. The Board also adopted governance reform measures that strengthened its Code of Ethics and provided its first-ever bylaws, which detail the Board’s focus on policy, financial direction, oversight and Metro’s relationship with its customers and jurisdictional partners. 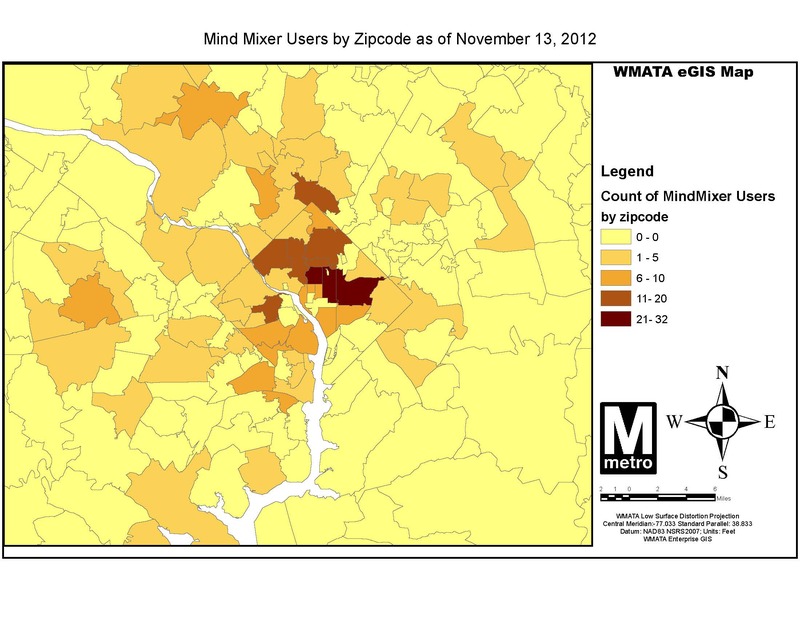 Since Metro’s MindMixer site opened on September 27th, the response has been overwhelming. To date, we’ve had over 425 participants provide more than 1900 votes, 450 comments, and115 ideason a range of topics. The first round of questions generated over 150 pages of comments alone! The site is expected to continue through the end of the year at a minimum, so please continue to join the conversation. Metro is using MindMixer to start a conversation with our customers about how they envision the next generation of Metro. A quick review of the site shows a wide range of comments and ideas, some that are short-term and many that are very far in the future. All comments and ideas are being reviewed as part of Momentum: The Next Generation of Metro, the agency’s strategic plan. Metro staff is responding to some of the comments and ideas as they are posted. Often this is to direct a participant to work that is already underway or to provide short responses or explanations of current policies. Other ideas have created discussions between participants, which is one of the main purposes for the site. The vast majority of ideas and comments require further study, more discussion of what is possible within Metro’s environment, and/or prioritization among other needs at Metro. Many of the ideas also require substantial resources to implement. As the site continues, we are collating and summarizing your comments and ideas based on themes, such as core capacity, information provision, and non-Metro expansion. 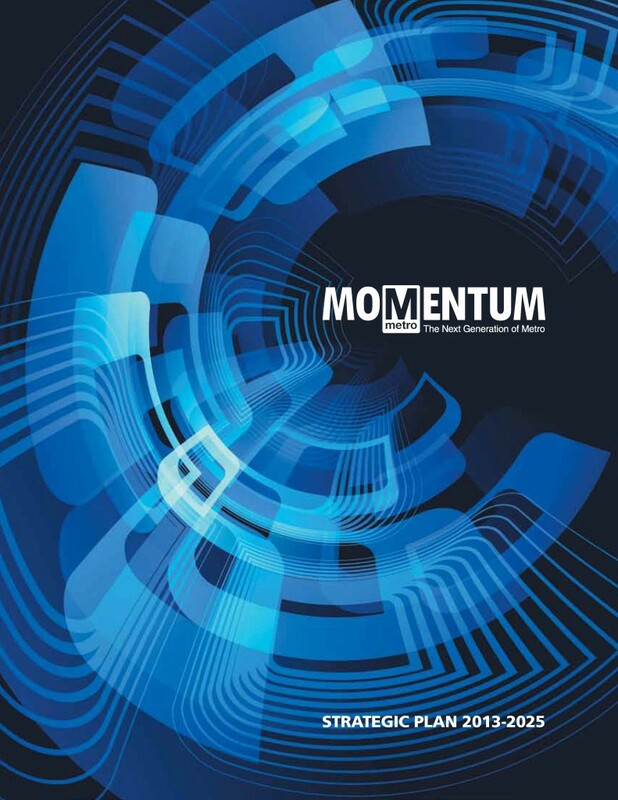 This high level summary will be used to support Momentum, our strategic plan, as it provides an indication of the elements that are most important to you, our riders. We will also be taking comments directly from MindMixer to incorporate in the strategic plan document. As part of this blog, we will be further developing some of the ideas and comments to form the basis for a Metro 101 section on PlanItMetro. These posts will help increase the level of understanding of transit in this region. Lastly, for those ideas that require further study, they will be compiled and when MindMixer concludes, this information will be circulated to the respective Metro departments. This will help ensure that decision makers throughout the organization review the thoughtful ideas that have been provided on MindMixer. The first round of MindMixer questions for Momentum: The Next Generation of Metro closed on October 26th. 370 people joined the conversation and posted over 90 ideas, 300 comments, and 1,600 votes. There were 4,300 visits to the site, of which 63% were unique visits. There were almost 24,000 page views and visitors stayed on the site for an average of five and a half minutes. The response was terrific and we’re excited to continue the conversation and new questions are currently on the site. Mind Mixer responses by zipcode. Click for larger version. Your fellow Metro riders who joined the conversation came from across the region.Below is a map of the number of participants by zip code.Participants ranged from 18 to over 65, with an average age of 36.5. 70% of participants were men.As our ridership is much more evenly split, we’d love to hear from more women, so please don’t be shy!Guys – please tell your female colleagues, friends, and family about the site and encourage them to comment.This month we are advertising on buses and in multiple English and non-English newspapers to further engage our riders, so keep an eye out. We have compiled a summary of the vote tally from each first round question, as well as a summary of the themes of the comments within each question. The major takeaways for Metro were that our riders have a lot of interesting, creative ideas for small, short-term improvements to their daily ride, many of which could be inexpensive. Additionally, there is a desire for large infrastructure projects to expand the system, connect communities, and increase the capacity in the system core. We also noticed a need for a Metro 101 to better explain the basics of how Metro operates, as well as the pros and cons of ideas and concepts. Stay tuned to PlanItMetro for posts tagged as Metro 101.